Hip hop artists such as Sugar Hill Gang, LL Cool J, Kanye West and Jay Z have name-dropped the boxing legend in their lyrics. The passing of Muhammad Ali has been deeply felt in the hip hop community. Through the years, hip hop artists have name-dropped the boxing legend as an inspiration for perseverance, black pride and empowerment. 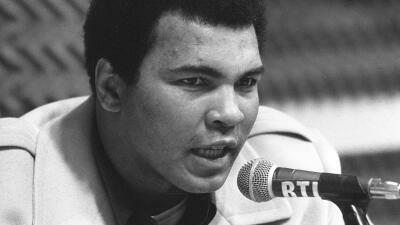 Ali's influence on MC’s spans decades - as evident on early hits by rap pioneers Sugarhill Gang and Kurtis Blow. But it didn’t stop there, as Ali’s highly outspoken, bigger-than-life persona became a blueprint for contemporary artists like Kanye West and Jay-Z. Here's a playlist of some tracks that shout out The Greatest in their songs. You can listen to these and and even mroe songs on our special Muhammad Ali playlist on the Uforia app, available on iTunes and Google Play.